Where does all of this creativity come from? There sure are some jaw-dropping ideas for executing favorite boy birthday party themes! Take a look and make these party ideas your own. Your birthday boy will love it. This week I’m highlighting these recent favorite party themes: Super Mario, Superman, bumblebee, vintage truck, puppies, (two) safari, LEGO, football, and Sock Monkey. Get those decorations up, send out invitations, bake a birthday cake and party! 1. 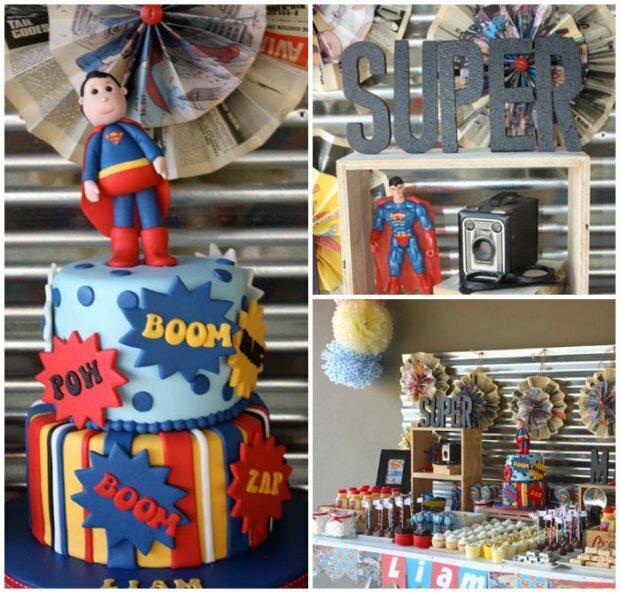 Lea Belle Events via Kara’s Party Ideas :: Boy’s Superman Themed Birthday Party – This party does a super job of incorporating the Clark Kent/Superman persona. You’ll find Clark’s glasses and a camera in addition to party medallions made of newsprint and comic pages. Superman provides bright pops of color. 2. 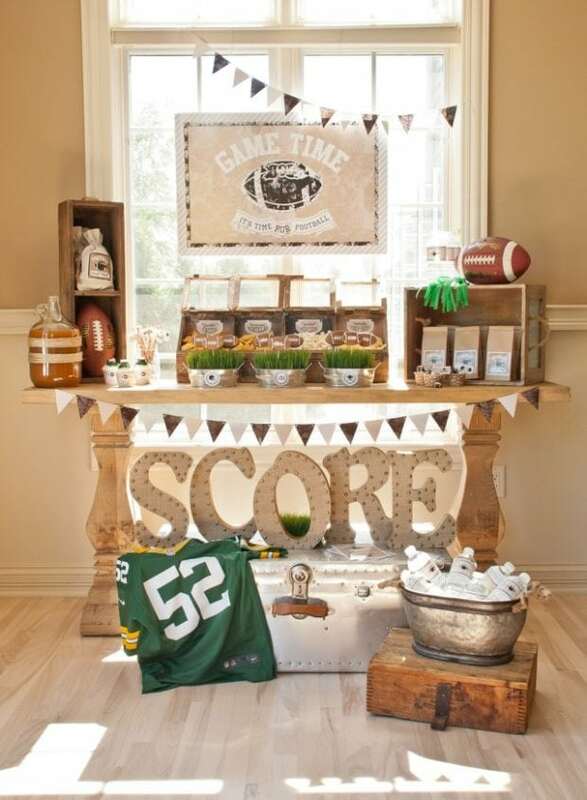 Anders Ruff :: Vintage Football Party Theme – Game time or birthday party time, this handsome arrangement scores! I’m loving the wood/metal combination, plus the neutral palette can be personalized with your favorite team colors. 3. 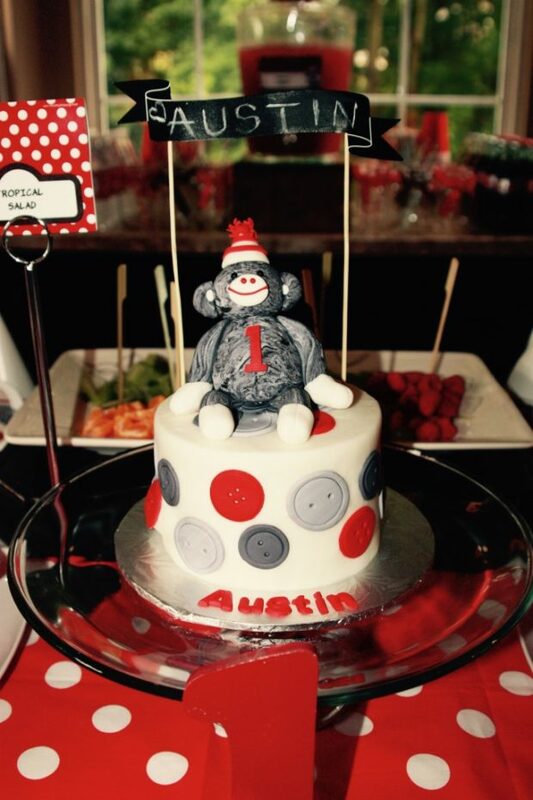 Dana Oliver via Project Nursery :: Sock Monkey Birthday Party – The children’s classic toy, Sock Monkey, stars at this sweet celebration. All sorts of good cheer is added with décor items in red and white. Especially cute: cutlery wraps in a mini wagon, favor boxes and an adorable smash cake. 4. 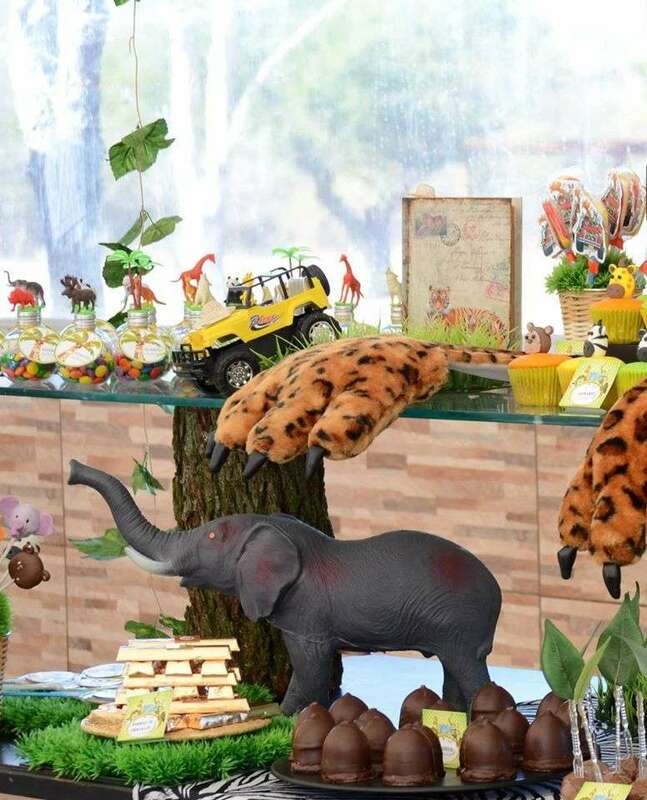 Atelier Sweet Joy via Catch My Party :: Safari Themed Birthday Party – There are some terrific take-aways from this celebration. The fabric backdrop partnered with bamboo sets the scene; tree trunk pedestals add great texture. I like the leaf embellishments on utensil handles, too. And giant cat paws—meow! 5. 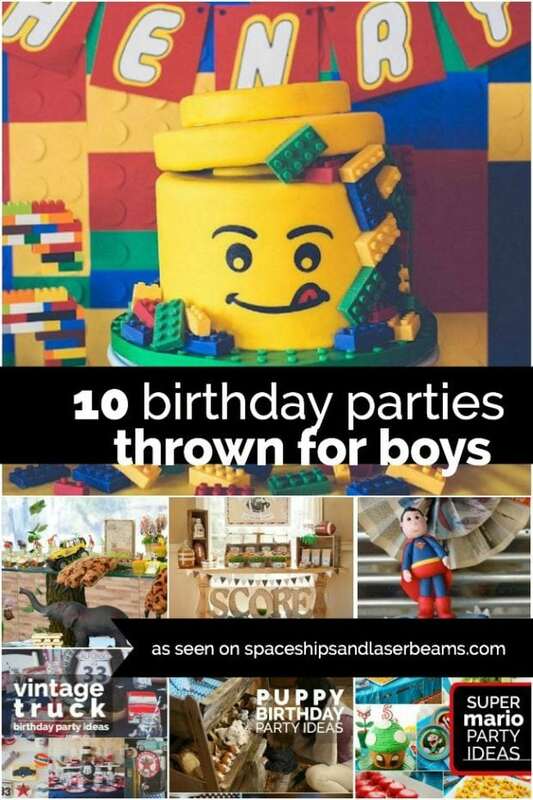 Snapberry Photographs via Kara’s Party Ideas :: Boy’s LEGO Themed Birthday Party – Can’t decide on a theme? Can’t go wrong with LEGO—kids of all ages love ‘em. 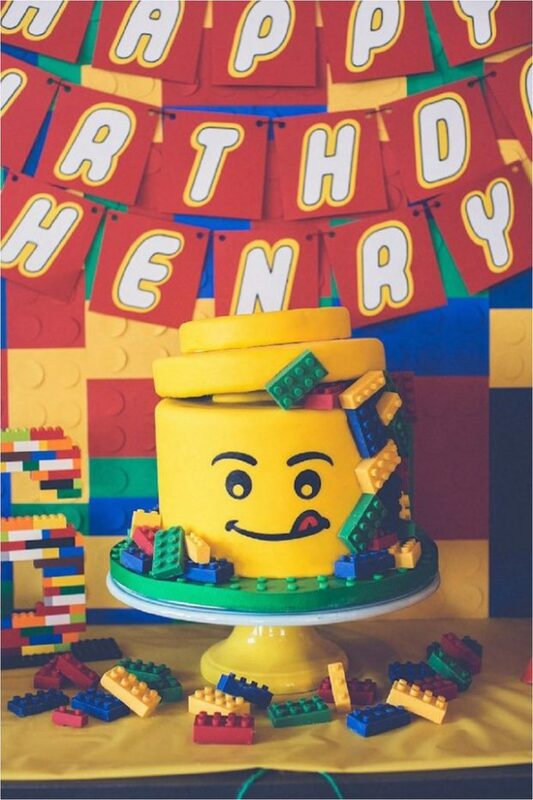 Feature LEGO on cupcakes, utensil holders, photo props and of course, an awesome birthday cake. 6. 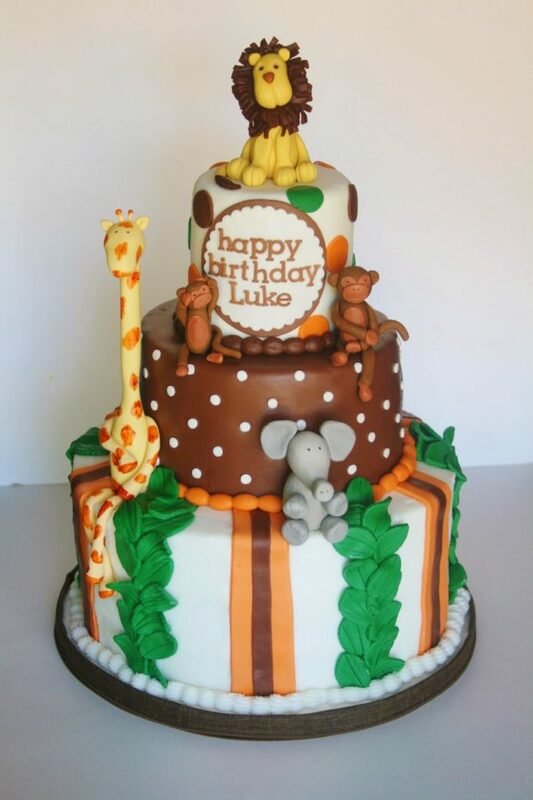 Beth Greeson and The Party Wagon :: Boy’s Safari Themed Birthday – There are two major stand-outs at this party: the safari tent with huge inflatable animals and individual safari jeeps for the party “drive-in” movie. Each jeep has its own attached serving tray—talk about personalized service! 7. 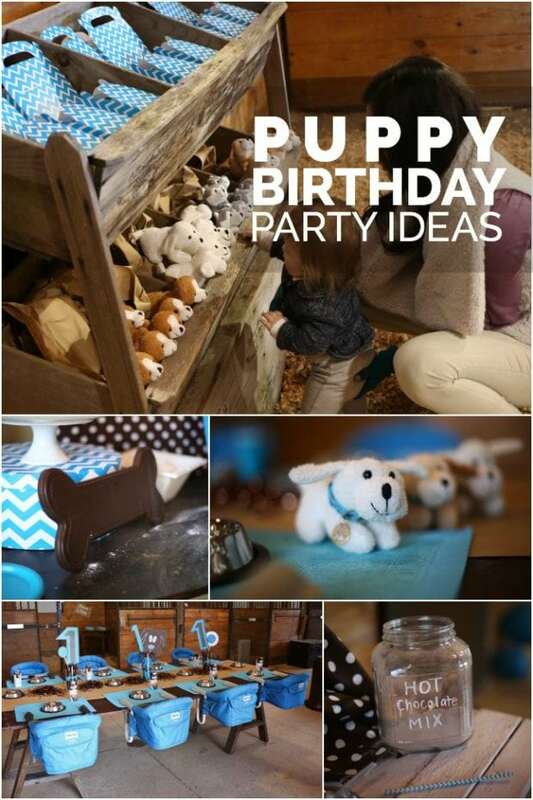 Betts Made :: Boy’s Puppy Themed First Birthday – What I especially appreciate about this event—aside from the extreme cute factor—is that it’s a first birthday party that really offers activities for the youngest kidlets. And it’s a great-looking party, too! 8. 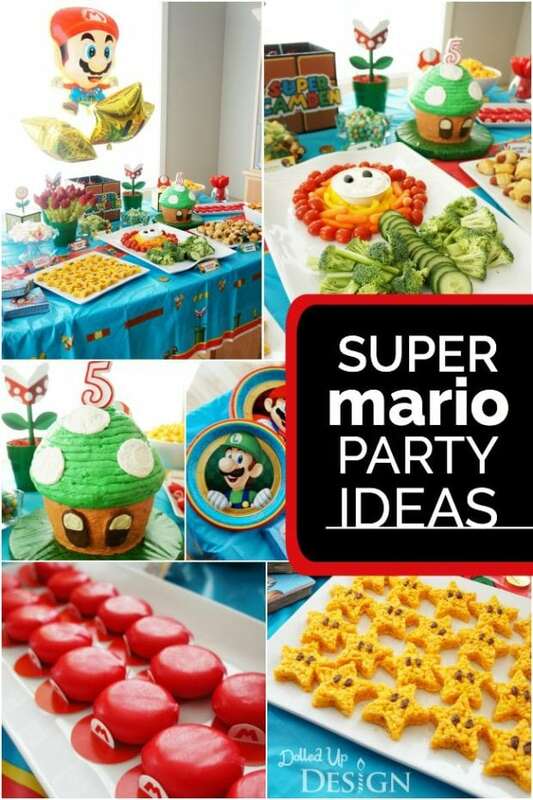 Dolled Up Design :: Super Mario Themed Birthday Party – Itsa Party! Not only is the food buffet marvelous, the play room transformed into Mario World is fabulous! You’ll want to look closely at this celebration—there are lots of fun ideas. 9. 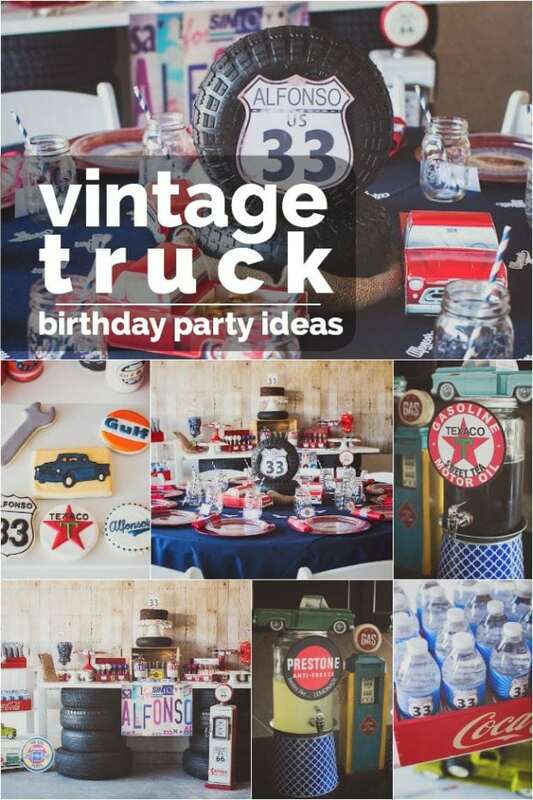 Amadore de Parties :: Vintage Truck Themed Birthday – Garage-inspired décor and a guy-pleasing menu take this party over the top. Who knew tires and tool boxes could look so handsome? Especially clever is the way Virginia created the oil can props. Nice party! 10. 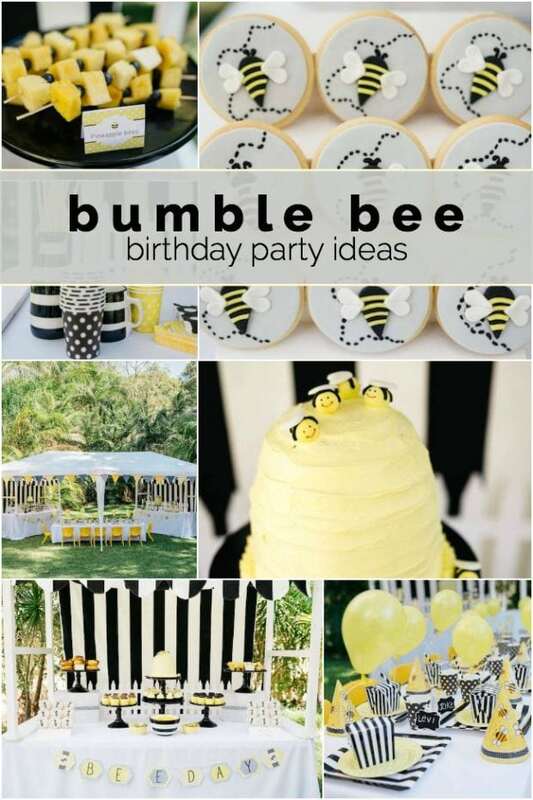 Sugar Coated Mama :: Boy’s Bumblebee Themed Birthday Party – If you want a party that buzzes with excitement, here you go! Yellow, black and white arrest attention and Sarah’s party styling is so appealing. This theme idea could work for a birthday, baby shower or a playdate. DIY SPINNING TOYS :: This is really cool. There’s a science lesson lurking within, too. DIY CUSTOM PAPER BEADS :: Gift or keep, paper beads are the basis for some great jewelry ideas. EASY, FUN DIY ACTIVITIES W/KIDS :: Start with photos of your kids. Add leaves and natural items for an imaginative collage. Love it.